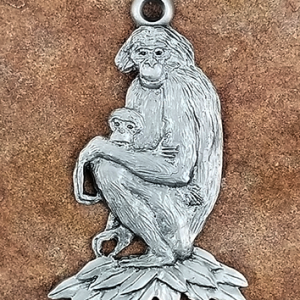 Wildlife artist Andy Schumann has handcrafted this beautifully detailed Frog Pewter Ornament. Perfect for a holiday gift, or for displaying year-round, conjuring memories of exploring ponds and water ways. Approx. 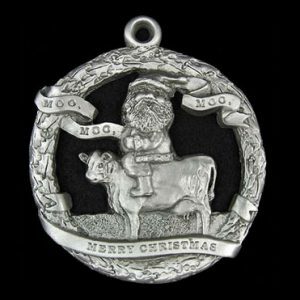 2.75″ in diameter. Lead-free. All items are gift boxed. FREE SHIPPING. We ship out in 2-5 Business Days. Call (414) 510-7963 for expedited shipping. 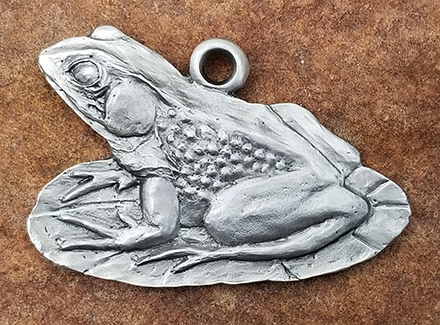 Wildlife artist Andy Schumann has handcrafted this beautifully detailed Frog Pewter Ornament. Perfect for a holiday gift, or for displaying year-round, conjuring memories of exploring ponds and water ways. . 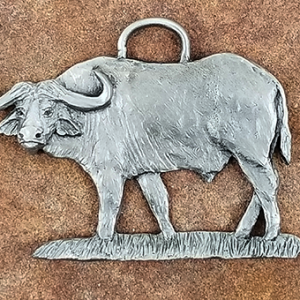 This product is hand sculpted and individually hand finished. Great attention is applied to detail, figurative exactness, finishing and presentation. All ornaments are approx. 2.75″ in diameter. Lead-free. All items are gift boxed. 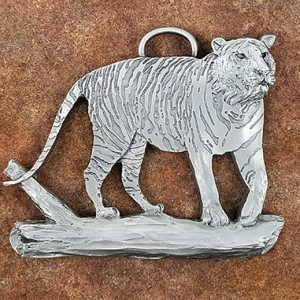 Pins, Ornaments & Shelf Accents Ship FREE!